Carpal tunnel syndrome is a condition in which there is pressure on the median nerve; the nerve in the wrist that is responsible for feeling and movement to parts of the hand. It can lead to numbness, tingling, weakness, or possible muscle damage in the hand and fingers. The median nerve provides feeling and movement to the “thumb side” of the hand (the palm, thumb, index finger, middle finger & part of the ring finger). 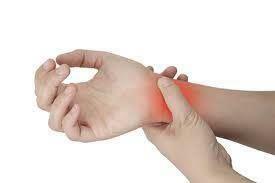 The area in your wrist where the nerve enters the hand is called the carpal tunnel. This tunnel is normally narrow, so any swelling can pinch the nerve and cause symptoms. This is called carpal tunnel syndrome. It is common in people who perform repetitive motions of the hand and wrist. Typing on a computer keyboard and writing is probably the most common cause of carpal tunnel. A clinician can test you out for signs of carpal tunnel with certain tests which may include sensation testing, strength testing and nerve tests. Treatment can be conservative and may include wearing a splint at night, nerve stretches and nerve mobilisations. Your Physiotherapist can assist to review the position you are in when performing your work activities to make sure your wrists are in the right position while typing. It may be useful to make ergonomic changes at your workplace to reduce the stress on your wrist too, so please speak to your therapist about this. Prevention of aggravating activities like avoid sleeping on your wrists & using hot and cold compresses may also help. In severe cases, surgery can be performed to reduce symptoms. Carpal tunnel release is a surgical procedure that cuts into the ligament that is pressing on the nerve. Surgery is successful most of the time, but it depends on how long the nerve compression has been occurring and its severity. Rehab includes nerve stretches and return to activity advice.